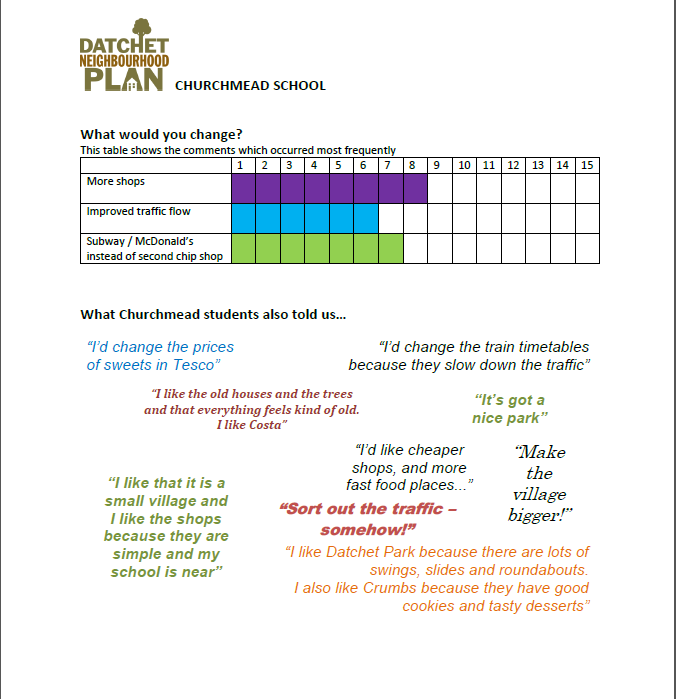 Every child at St Mary's school was invited to complete the survey and they also took home a copy of the Datchet Neighbourhood Plan leaflet. 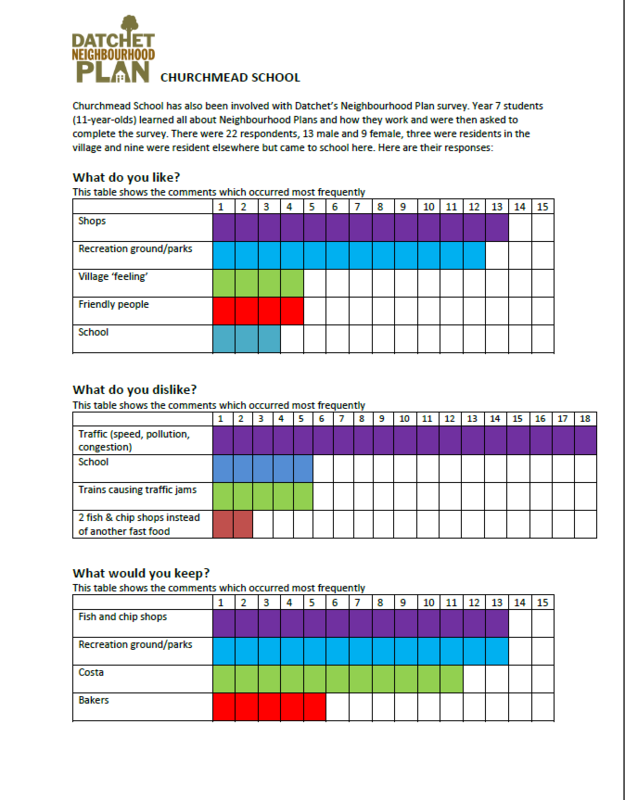 (It appears they were very effective campaigners as we have had several survey responses from their parents as a result.) The school council which has representatives of all ages, from 4 to 11, has recently sent back their results. Churchmead School has also been involved. 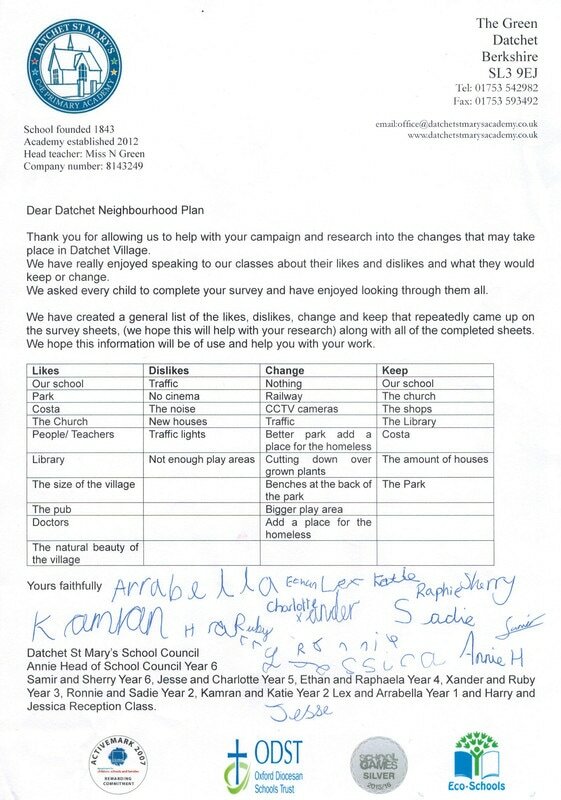 Year 7 students (11-year-olds) were given an explanation about Neighbourhood Plans and how they work and they were then asked to complete the survey.